Are you stressed over your financial situation? Are you unsure of what to do or where to turn for help? Look no further than Consumer Credit Counseling Service. CCCS is a not-for-profit agency, affiliated with the National Foundation for Credit Counseling (NFCC), and are HUD approved to provide housing counseling and education. 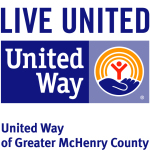 We are a United Way Agency, accredited by the Council on Accreditation (COA) and are Court-approved to deliver Pre-fling Bankruptcy counseling and Pre-discharge Bankruptcy education. Our goal is to provide you with accurate information and options available to help solve your financial problems. Appointments are available at multiple locations throughout McHenry, Lake, & Kane Counties. If you have already registered for the course, click here to get access to the course.